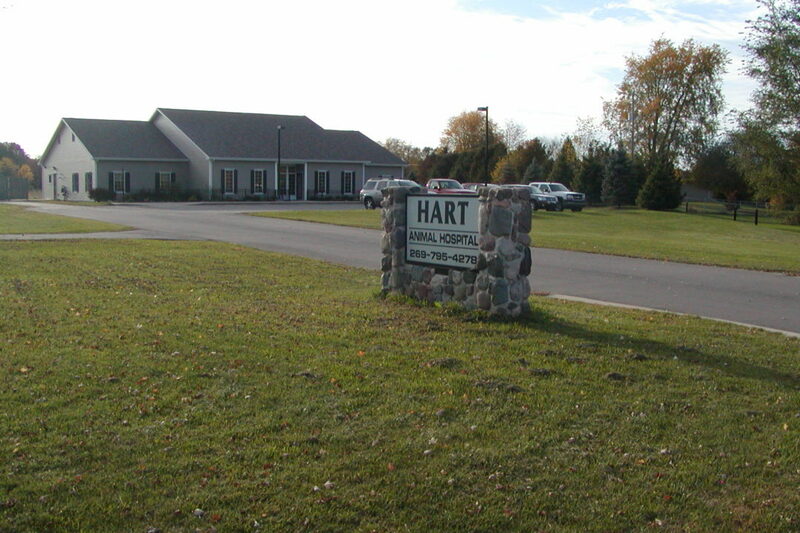 The Dr. Hart Animal Hospital facility is a 5,500 square foot facility. The facility includes waiting area, administrative offices, four exam rooms, 12 stall kennel, surgery suite, laboratory, pharmacy, and x-ray room with lead shielding. The building is a single story wood framed structure with slab-on- grade floors. The kennel area received special 2 part epoxy coating on floors and vinyl exterior siding. Site design required coordination with and approvals from Thornapple Township ordinances, Barry-Eaton County Health Department, State Health Department, Michigan Department of Transportation (MDOT) and State of Michigan Building Code for plan approval. HVAC system provided for substantial odor control measures along with energy recovery unit to minimize energy consumption while providing effective odor control.